This 7 piece lemonade set contains a recipe booklet to help get you started or use your own imagination to serve up endless possibilities. 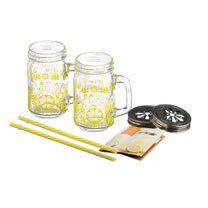 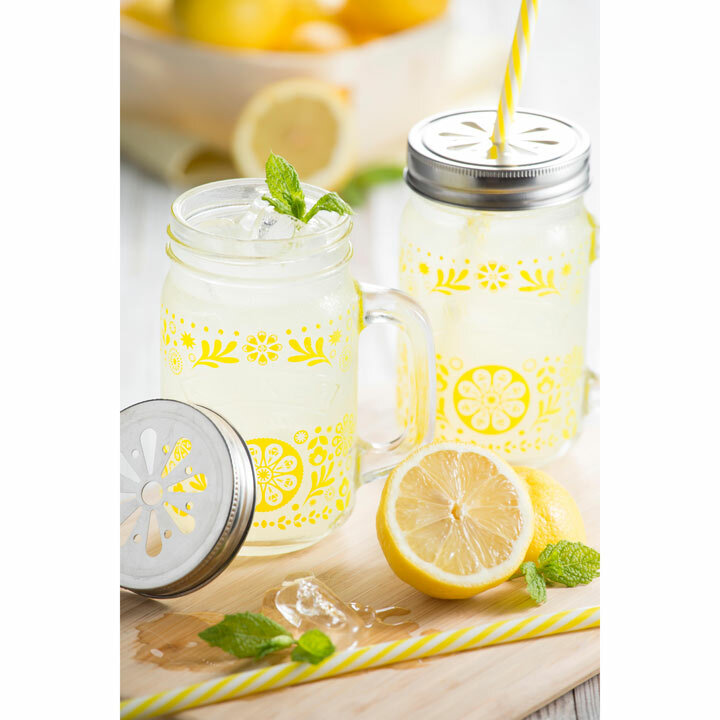 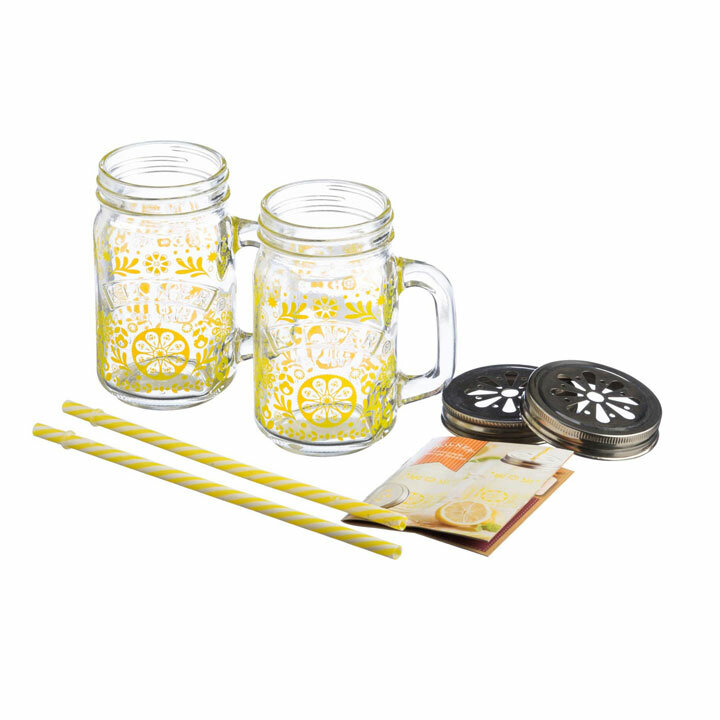 The lemonade inspired handled jars with decorative lids and straws will complete that homemade look. 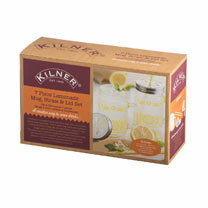 Ideal as a gift or simply a perfect way to serve your creations to friends and family.